If you are looking for an affordable car in Fairmont, WV, you need Dan Cava Toyota World’s selection of used cars. Our certified used cars, trucks, and SUVs are inspected for quality before being placed on our Fairmont, WV dealership lot. 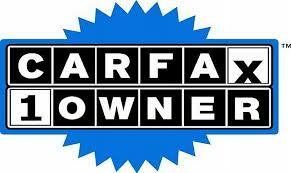 Here you can find used Toyota, Chevrolet, Ford, Hyundai, Honda, Jeep, Chrysler, Dodge, Ram, and other quality brands. Find exactly what you are looking for today at Dan Cava Toyota World. Our Fairmont dealership is right near Clarksburg, Pleasant Valley, and Grafton! Get your used car today at Dan Cava Toyota World in Fairmont! Prices exclude tax, tags, title, license fees and $175 Dealer Documentation Fee. All pricing and details are believed to be accurate, but we do not warrant or guarantee such accuracy. The prices shown above may vary and are subject to change. Vehicle information is based on standard equipment and may vary from vehicle to vehicle. Call or email for complete vehicle specific information. See dealer for details.